California state rebate for buyers and lease holders, offering up to $2500 for most EVs, $5000 for fuel cell vehicles, and $2000 more for people who meet low-income guidelines. The state is considering increasing its base EV rebate to $4,500. Federal tax credits were designed to phase out as automakers reach certain sales numbers. Currently, the phaseout trigger for each automaker is 200,000 plug-in vehicles sold in the US. When an automaker reaches this sales number, a reduction in the tax credit will begin at the start of the following quarter. (For example, if a manufacturer hits the 200,000 mark in January, a reduction will start in April.) For the next six months, buyers will qualify for half of the original tax credit. For the six months after that, the tax credit is reduced to a quarter of the original. Then the tax credit ends. SunPower has partnered with Ford Motor Company to bring solar to your roof and a solar mail-in rebate. Visit SunPower to receive a special $1,000 mail-in rebate with the purchase or lease of a SunPower home solar system. 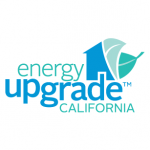 E nergy Upgrade California offers rebates and incentives for a wide range of projects and entities or go directly to PG&E to see your options. Davis property owners are eligible to participate in three Property Assessed Clean Energy (PACE) Financing Programs within Yolo County. The programs include energy and water use efficiency financing options including solar panels, lighting, and indoor and outdoor water use efficiency projects. PACE is a financing tool offered by a third party vendor that property owners can use to make energy and/or water efficiency upgrades to their home or business. The non-profit Center for Sustainable Energy provides a useful FAQ section on PACE programs. Cool Davis highlights PACE programs as a service to Davis property owners but does not necessarily endorse any individual providers. The Yolo-Solano Air Quality Management District is now offering a new incentive program to residents that live within the District to replace their old, non-EPA certified wood stove, fireplace insert, or open-hearth fireplace with a newer, cleaner burning device, such as an EPA certified woodstove/insert or a natural gas, propane, or electric heating device. This program is available to both homeowners and renters. In the case of rental properties, formal approval from the property owner will be required as part of the approval process. Approved applicants will receive a voucher to redeem at participating retailers. This project is supported by the California Climate Investments (CCI) program, a statewide initiative that puts Cap-and-Trade dollars to work. Applicants must live within the District’s boundaries. For a map of the Air District, please click here. Applicants must have an old, non-EPA certified wood stove, fireplace insert, or open hearth fireplace that is used as the primary source of heat in the home. Low-income residents who are in a low-income assistance program (WIC, CARE, or LIHEAP) or make a total household income of less than $49,454 a year are eligible to receive a $3500 voucher. Non low-income residents are eligible for a $1000 voucher. To apply Click here for the complete list of items needed. Participating retailers Click here for the list of participating retailers. There are approximately 10 million wood stoves currently in use in the United States, and 65 percent of them are older, inefficient, conventional stoves. Swapping out one old, inefficient wood stove is similar to taking 5 dirty, old diesel trucks off the road. Wood smoke is not only bad for the environment but can also affect your health. Wood smoke is made up of a complex mixture of gases, like carbon dioxide, methane and air toxics, and fine, microscopic particles, called PM2.5. PM2.5 is so small, it can easily bypass the human body’s natural defenses, causing short term health effects, like coughing and sneezing, and worsening existing conditions, such as asthma and heart disease. If you are unsure about your eligibility, please call the District office at: (530) 757 – 3650 or email: woodstove@ysaqmd.org and ask about the Wood Smoke Reduction Program. If you live in Solano County but outside Dixon, Rio Vista and Vacaville, contact the Bay Area Air Quality Management District to ask about their wood smoke reduction program by clicking here. A new statewide rebate program is now available to help residential customers replace thirsty lawn with beautiful low-water use plants. The Save Our Water California program will be run entirely through the State, not individual cities. FUNDS NO LONGER AVAILABLE: The Department of Water Resources (DWR) is offering a rebate program for replacing toilets at California single-family residences to support the State’s drought response. Up to $100 will be rebated for purchase and installation of one qualified high-efficiency toilet (1.28 gallons per flush or less) per household for replacement of a less-efficient toilet (using more than 1.6 gallons per flush). The $6 million toilet rebate program, also funded through Proposition 1, will help Californians replace approximately 60,000 old, inefficient toilets. PG&E provides rebates for appliance and home systems plus other ways to save on energy. Check out the links below for more information. For more information about rebates and incentives, visit the City of Davis Conservation Rebates page.